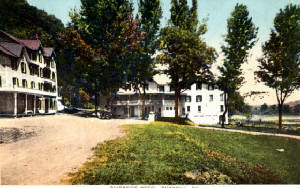 River Side Hotel Bushkill, Pa. The United States Congress requisitioned the first official census in 1790. To ensure that each state was assigned a fair number of congressional representatives, an accurate breakdown of the population was needed. Congress hired federal marshals to visit every American household and obtain the necessary information. The original census was completed in 1792 and consisted of only six simple questions including head of household, race and gender. The United States was the first nation in the world to make the census a mandatory constitutional requirement. One census is completed every ten years, though surveys are now mailed instead of delivered on horseback. And while the questions have changed, the census remains a valuable research tool for family historians.